Personnage - Leader. Points: 13/16. Santé: 12. 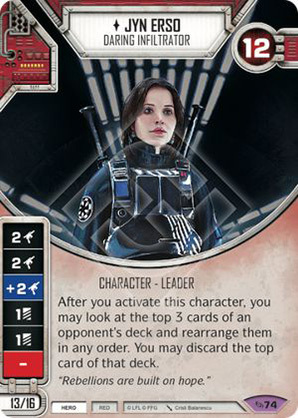 After you activate this character, you may look at the top 3 cards of an opponent's deck, and rearrange them in any order. You may discard the top card of that deck.